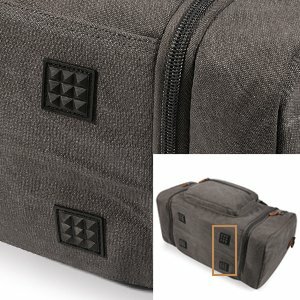 •✅ Made using high density 16 ounce Cotton Canvas and classical bronze tone hardware, soft nylon lining. •✅ Spacious Bag: Spacious enough to Fit Laptop, iPad, Several Clothes and Shoes at Once. •✅ Features: Adjustable and Removeable Strong Shoulder Strap with Hook. 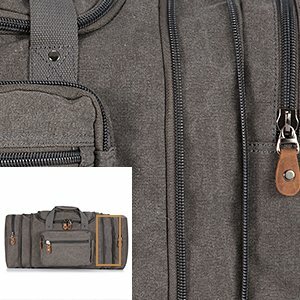 1 Front Quick Access Zipper Pocket, 1 Inner Zippered Pocket, with 2 Inner Open Pockets for Bill, Tickets, Passport etc. •✅ There are 2 zippers on each side used to expend the capacity of the luggage bag; 4 high-quality plastic cushions at the bottom, to protect it from dirt. Three layers of lining which provides strong load-bearing. 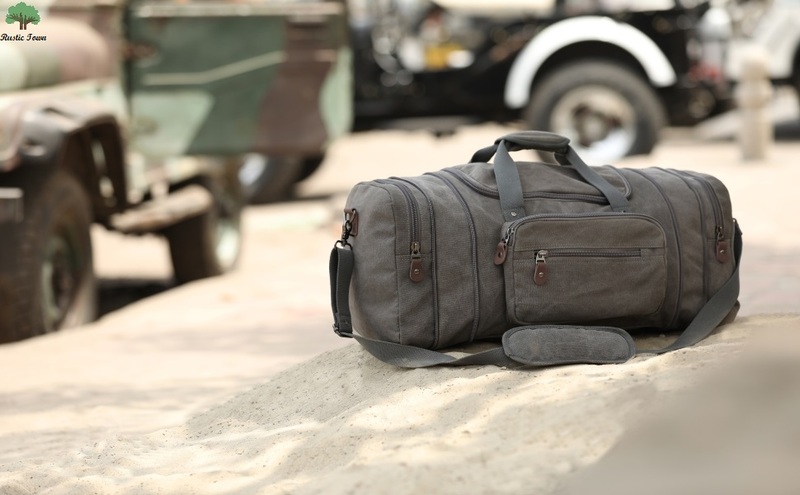 Systemically designed bag with multiple pockets makes your duffel easy to organised. Large Capacity bag, so that you can carry all your A4 books, clothes, laptop and other daily necessities, perfect for travelling or gym. 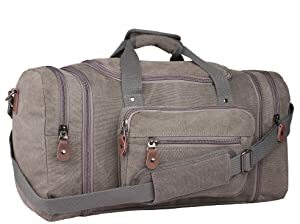 Large capacity duffel bag with volume of 50L . There are 2 zippers on each side used to extend the capacity of the luggage bag, you can extend the bag capacity by unzip these zipper as your need. 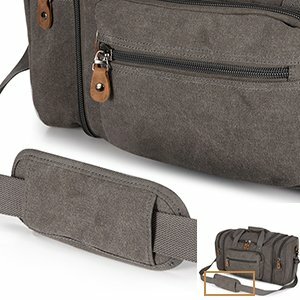 Padded shoulder strap tab which is comfortable when carrying on your shoulder and release the stress from the bag. Wear resisting diamond shaped rubber mat at the bottom to protect the bag from damage and dust.